Thomas McEnery was born 15 August 1823 in Castlemahon, County Limerick, Ireland, He settled in Chicago in 1848. On 14 July 1850, he married Mary O'Hanlon in St. Mary's Church. Mary was born in Rathkeale, County Limerick, Ireland in 1823. The McEnery family lived at 382 West Polk St. (now 1123 W. Polk St.). Mary died 19 May 1884 and Thomas followed her on 21 November 1885. They are both buried in Calvary Cemetery in Evanston, Illinois. For further details, contact the Chicago Genealogical Society. 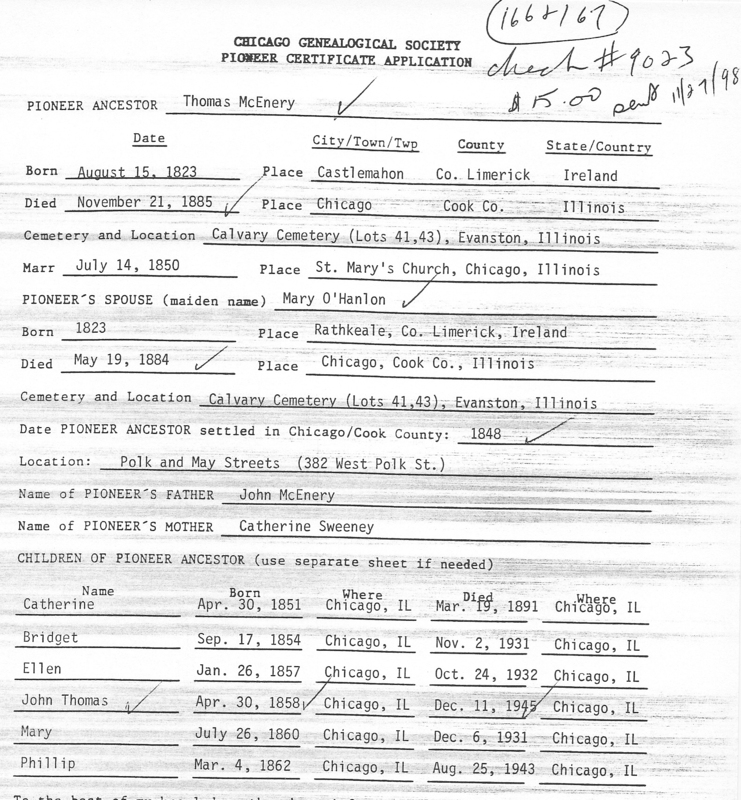 Thomas McEnery is Pioneer Ancestor number 166 and 167.